Summer’s here, and so is zucchini! | "Il faut goûter"
Summer’s here, and so is zucchini! So this first day of summer with its long day-lit hours is the perfect day to set my new blog in motion! The summer solstice is something of a holiday to me, the true commencement of my favorite season of sunshine, sweat, warm rains, and nights on anyone’s patio. And of course, the time has finally come when I can walk out the back door to our family garden and pluck something colorful from the vines to make for dinner. Fresh, organic, and planted by family hands. One of my first loves of summer, newly ripe at my home, is zucchini. My parents have always preferred the stronger flavor of yellow squash, which we’ll also have soon, but I love that green zucchini. It’s versatile and lends itself to a variety of dishes and seasonings. So yesterday when my mom asked “What will we have for dinner?”, I replied, “Something with zucchini,” and set about building a dish in my head to showcase that clean green veggie. 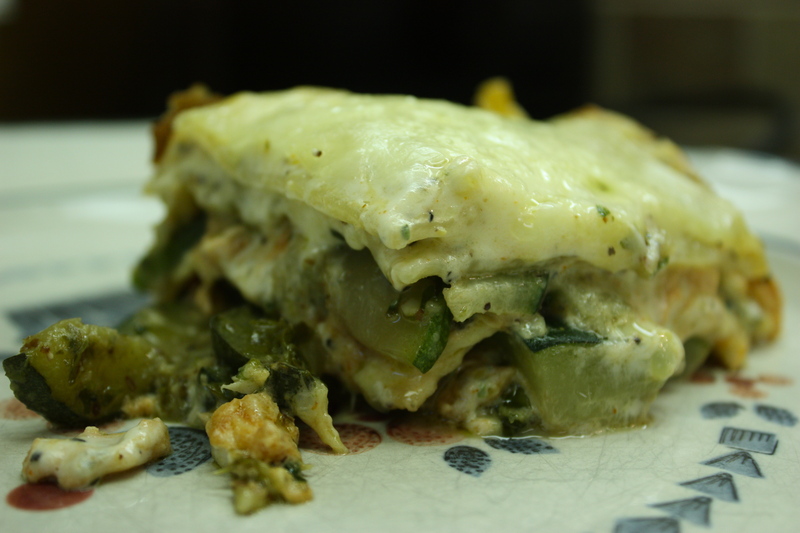 What I came up with: Mint-Basil Pesto Zucchini and Chicken Lasagna. It’s long, I know, but the name specifies the essentials of the dish. 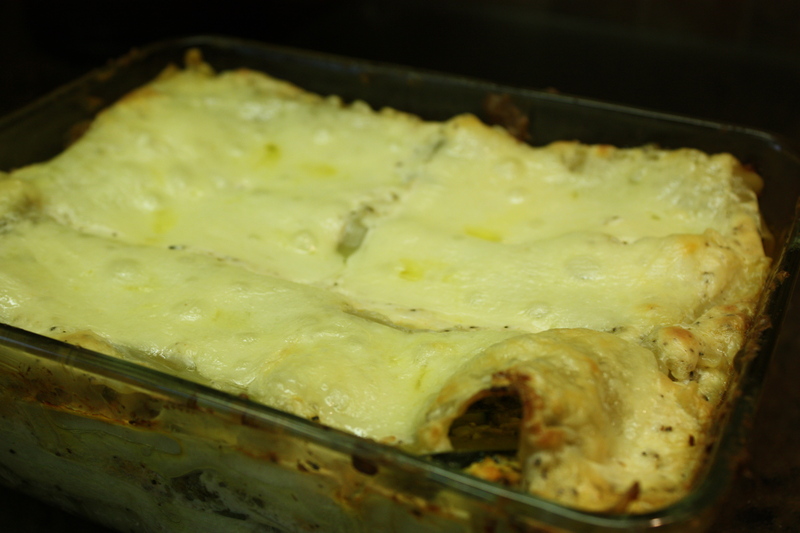 Anyway, it’s a twist on tradtional lasagna using ingredients I had on hand at the time, and I must boast a bit, it was DELICIOUS! My thinking was basically that if the mixture for each layer was yummy on its own, then the resulting lasagna must be tasty! 🙂 This time, it really worked! 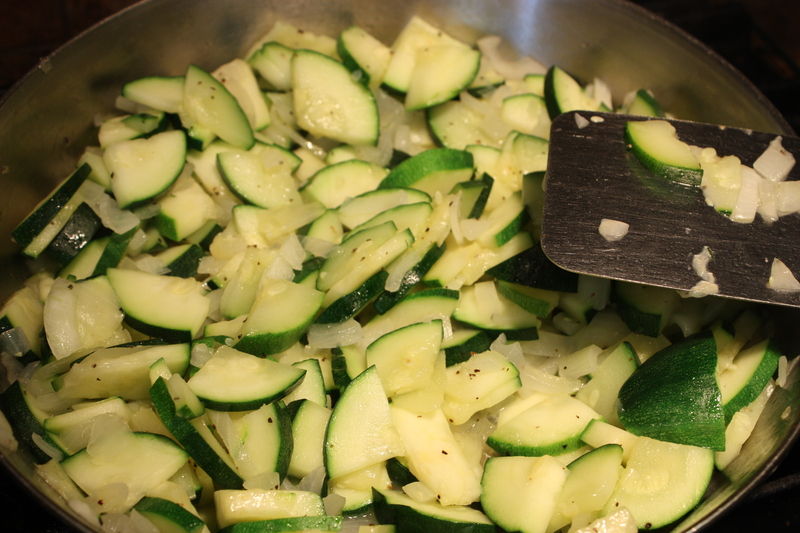 Zucchini layer: Sauté chopped zucchini and onions with a bit of salt and pepper in olive oil until tender. 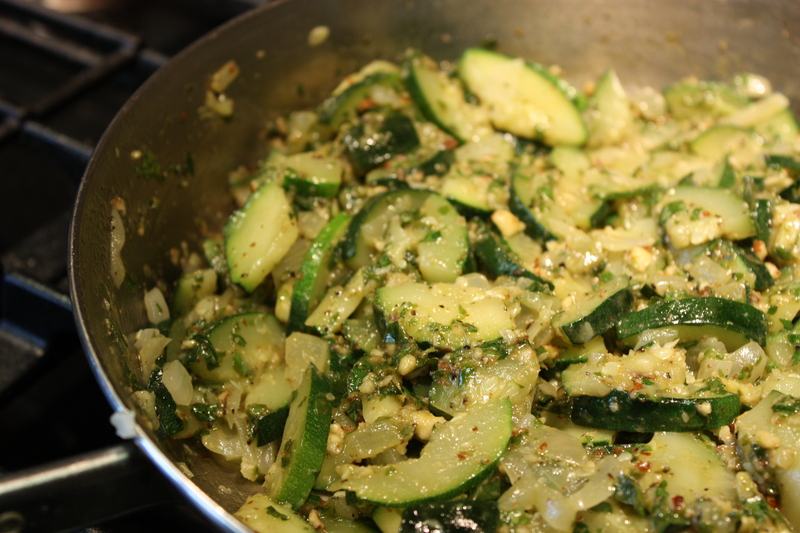 After cooking, stir the Mint-Basil Pesto into the zucchini and onions to coat the vegetables. Cheese layer: Mix cream cheese, shredded Parmesan cheese, coarse ground black pepper, and cayenne pepper (to taste) together. Add a bit of heavy cream and whip mixture until it’s lighter and more akin to the texture of ricotta cheese. Chicken layer: Mix shredded cooked chicken with tomato sauce* to coat (*I used some leftover pizza sauce I had made the day before, so it was seasoned with a lot of herbs), then stir in 8 or 9 chopped mint leaves. To assemble, spread a layer of the zucchini mixture in the bottom of a greased baking dish. Then put a layer of noodles atop the zucchini. Then spread a layer of cheese mixture. 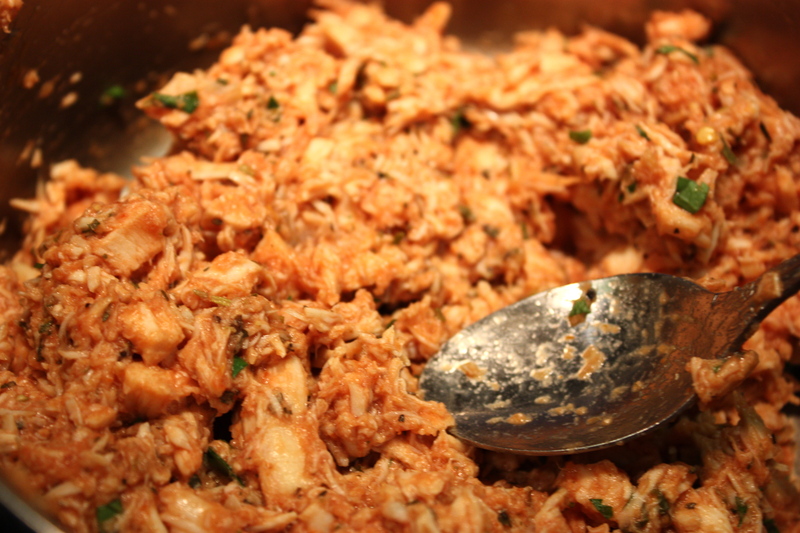 Then, a layer of chicken mixture. Repeat. When I made this, I ended up with the cheese mixture on the top, and before baking I put some Swiss cheese slices on top for a golden brown and gooey effect. Bake at 350 for about 30 minutes, or until bubbly. My family devoured this, and I was really pleased with the flavors! I think the mint is key here; it complimented the zucchini and tomato flavors so nicely! This entry was posted in Uncategorized and tagged lasagna, mint-basil pesto, pesto, zucchini, zucchini lasagna by needtotaste. Bookmark the permalink. Yay I finally made this! Delicious!